Need Carpet Cleaning in Narre Warren Right Now? We all know the feeling. You’ve just settled in for an evening in front of the couch, glass of wine or a bowl of pasta for company. Then somehow everything goes terribly wrong. The glass slips out of your hand and suddenly you’re dealing with an upholstery nightmare instead of settling down to the new release. You’re a nice person, and consistent with the vacuuming- so why you? And what next? Rug and Steam Cleaning Services That Take Away the Panic! Spills happen to all of us: it’s actually how we deal with the stains that makes all the difference. While the temptation to get creative with a mix of products right off the shelf is strong, it’s important to know that most carpet and sofa cleaning products you can buy on a store shelf won’t do what you need them to do. When it comes to liquids on a fabric couch, there’s zero time to prevent the liquid from absorbing, and even if you do, the staining rarely completely disappears, even with a standard carpet shampooing product. Red Wine + Nice Textiles CAN get along. The fact is, that red wine will always be fatally attracted to cream couches, and bowls of pasta will always land upside down on the shagpile. The fix? 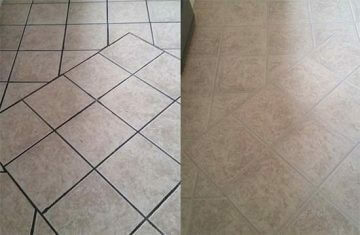 You need Melbourne Carpet and Tile Cleaning. The longer a stain is left, the more successful the bond is to the fibres of the carpet. Considering that it’s more likely you’ll make the stain worse if you’re not well versed on how to completely lift it, it’s worth making a call to our team for a seamless solution. Affordable, Effective solutions for All stains, spots and soiling. For local carpet cleaning services in Narre Warren? The team of experts at Melbourne Carpet and Tile Cleaning are ready to take your problems away. Carpet Sanitisation & Carpet Deodorisation for a difference you’ll notice! Time to do something about carpet odour? 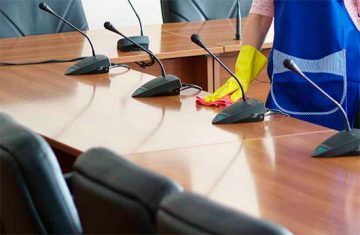 Choose from our spot treatment and rug cleaning services right through to total carpet cleaning packages- upholstery, fabrics, couch and sofa cleaning are also our specialties. We may be able to provide a same day carpet cleaning service, if you’re keen to have a stain resolved immediately. Ask us about easy carpet maintenance with Scotchgard! If you’ve had your sofa, carpet and upholstery Scotchgarded, you may be feeling a little smug right now- this is a must have product for spill-prone households! Scotchgard is that little bit of extra insurance for those who like to drink their cranberry juice dangerously close to their favourite Persian rug- Scotchgard is a protective barrier to liquids which means you can wipe them away without the drama – ask US about Scotchgard products we love! Melbourne Carpet and Tile Cleaning – Professional Carpet Cleaning You can Trust! Tip: If you do happen to need an emergency treatment for red wine spilled on carpet, here’s what to do: Use an absorbent towel to blot and draw away excess liquid. You can add a little more cold water to dilute it after you’ve removed as much as you can. Continue blotting until you can’t lift the colour any more. Next, generously sprinkle baking soda over the entire stained area. Don’t be stingy! Baking soda absorbs both odours and liquids. If your carpet is light and the staining solution was dark, you’ll definitely want our help. 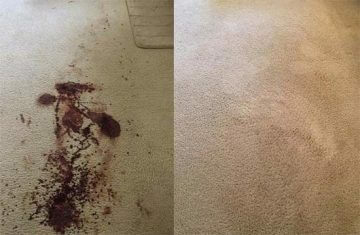 Don’t wait for the stain to become a permanent feature- call Melbourne Carpet & Tile Cleaners- we’ll do the rest of the work!